As one of the top-ranked tools on Android Parallel Space helps more than 90 million users log on multiple accounts at the same time on one device and highlight their own style. It also protects user privacy by making apps invisible on device with the Incognito Installation feature. Moreover users are able to customize themes of their cloned apps and the themes of Parallel Space to style their own space. Parallel Space supports 24 languages and be compatible with most Android apps. Get Parallel Space immediately to manage multiple accounts protect privacy and customize your own space. • Powerful stable & easy-to-use. 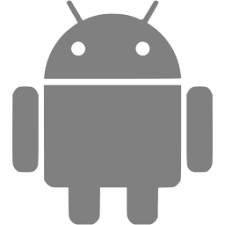 • Unique: Parallel Space is based on multiDroid the first application virtualization engine on Android. • Permissions: Parallel Space needs to apply for the permissions required by the apps added in Parallel Space to function normally. For example if Parallel Space is not permitted to acquire your location you will be unable to send your location to your friends in some apps that run in Parallel Space. Parallel Space does not collect your personal information to protect privacy. • Consumptions: Parallel Space itself doesn't take up too much memory battery and data by which are actually consumed by the apps running inside. Details can be viewed in 'Storage' and 'Task Manager' which could be found in 'Settings' in Parallel Space. For any urgent matters please contact our official WhatsApp: +86 18201691197. Please note that hot line service is not supported at present.